Getting the Right Ink Cartridge | TonerGreen - Eco-Friendly Toners from the U.S. Ink cartridges can be considered as printer supplies that could offer the best text files or even sharp and crisp images. 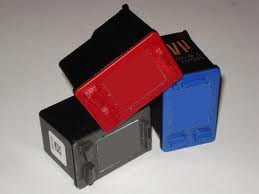 However, you might actually notice that ink cartridges come in different types, textures, and printing styles. So how would you know that you are going for the right one? When it comes to the types of ink cartridges, you will always find those OEMs or original equipment manufacturer cartridges, the compatible inks, and the remanufactured cartridges. The OEMs are the ones made by the printer manufacturers themselves. These are somehow costly since its makers would want to maintain the high quality printing. However, this printing quality can also be provided by the compatible and remanufactured cartridge only at a much affordable price. Still, the difference between a compatible and a remanufactured is that the second one uses recycled cartridges making it green printer supplies. The texture of an ink cartridge would depend on its manufacturing process. Still, the best ink cartridge should have that perfect smoothness and fine texture. On the printing styles, ink cartridges could either use the thermal technique or the piezoelectric. The thermal printing process involves heated ink bubbles that are used to push out the ink and create the prints. The piezoelectric method uses a crystal that moves periodically to excrete the ink. The printing method would usually vary depending on your cartridge brand. Getting the right ink cartridge will still depend on you, but be sure to always check on the printer supply store first before purchasing your inks to avoid getting low quality prints and wasting your budget for your printing costs.